I love all music and teaching it! 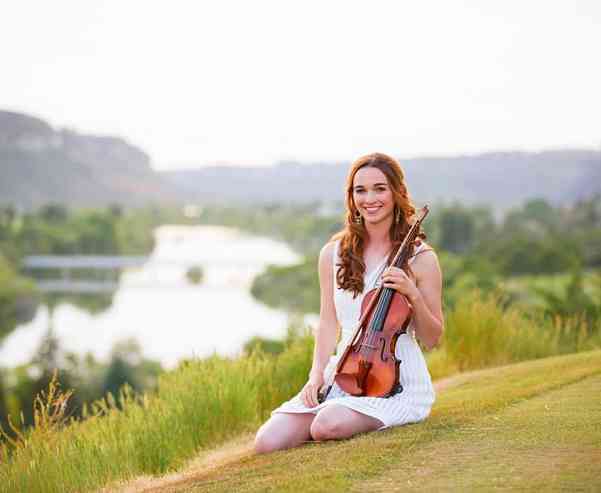 I am a classically-trained violinist recently graduated with a Bachelor of Music in Violin Performance from Brigham Young University-Idaho. I started playing when I was three years old as a Suzuki child, and decided to seriously pursue music when I had the opportunity to perform in Lyon, France with some other music friends when I was 14 years old. It was here that I was able to see the powerful and positive effect music has on people. I have taught music locally (in Texas and Idaho) and abroad. In August 2015, I had a heartwarming opportunity to teach music to underprivileged kids in San Jose, Costa Rica for three weeks. This was a life changing experience and something I hope to do again one day! Finding performance opportunities is something I love to do because of how music makes me feel, and especially how it makes the world feel. I’ve had amazing experiences performing in Carnegie Hall and with popular artists such as Cyndi Lauper, William Joseph, Josh Groban, David Archuleta, The Piano Guys, and opening for Carrie Underwood. Music has changed me as a person, and I believe I can help the next generation be improved citizens through learning the violin!